Light flashes in the eye lasting a few seconds may appear in a person’s vision when the vitreous gel pulls or tugs on the retina. This may happen as a natural result of aging or it may occur temporarily if a person receives a blow to the head or eye. Usually these flashes, which are often described as lightening streaks, are noticed at night. Light flashes appearing as wavy lines in both eyes and lasting from a few minutes to half-an-hour, are usually a sign of an ocular migraine headache. Migraine related flashes are often noticed in a lighted environment. Flashes of this nature typically are not symptomatic of eye problems requiring a retinal specialist. 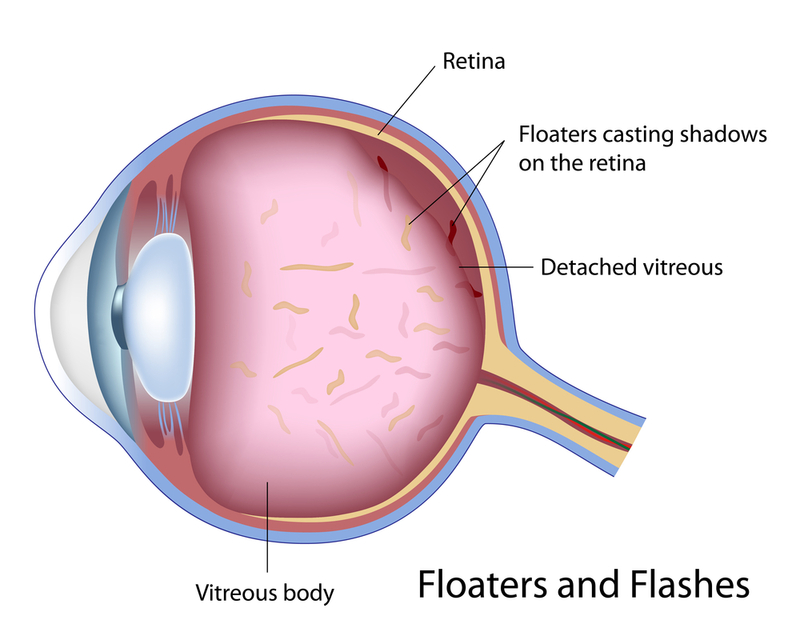 The onset of new light flashes of short duration at night, especially when accompanied by the appearance of many new floaters or a blackening out of part of your field of vision, may indicate a retinal tear or detachment, and require prompt evaluation by a retinal specialist within a day or two. If you or someone you love has questions or concerns about light flashes in eyes, please contact Retina Health Center to make your appointment today.